During the week everyone made a short presentation of their work and it so happened that mine took place yesterday (Thursday). I thought that the most valuable way to spend this time would be to try and articulate and demonstrate some important principles upon which my artistic practice operates. Two central aspects of the work which I develop with the artist collective Re-Dock are “engagement” and “collaboration” – we always involve people in our work and also we actively attempt to keep our creative processes open. Speaking from experience, Re-Dock would totally reject any notion that “engagement” and “collaboration” are “soft” terms or that they lead to some kind of “diluted” form of art (both of which were viewpoints put forward during Pete Eyres roleplay session the day before). Actual “collaboration” involves risk and loss of control through the decentralisation of authorship and real “engagement” is hard and complex. 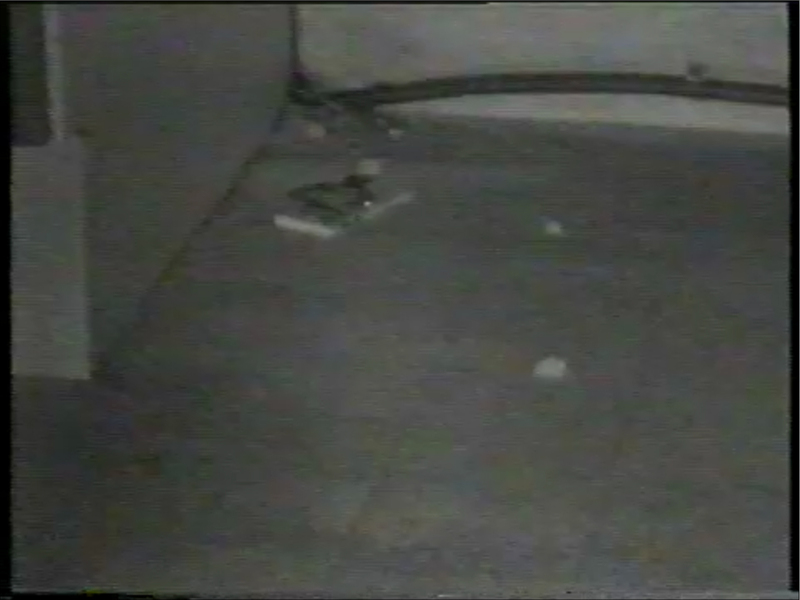 Image shown is a still from “Victor” a piece of work I made back in 2002 where a night vision camera was trained on a mousetrap overnight whilst the images were relayed to a CCTV monitor.